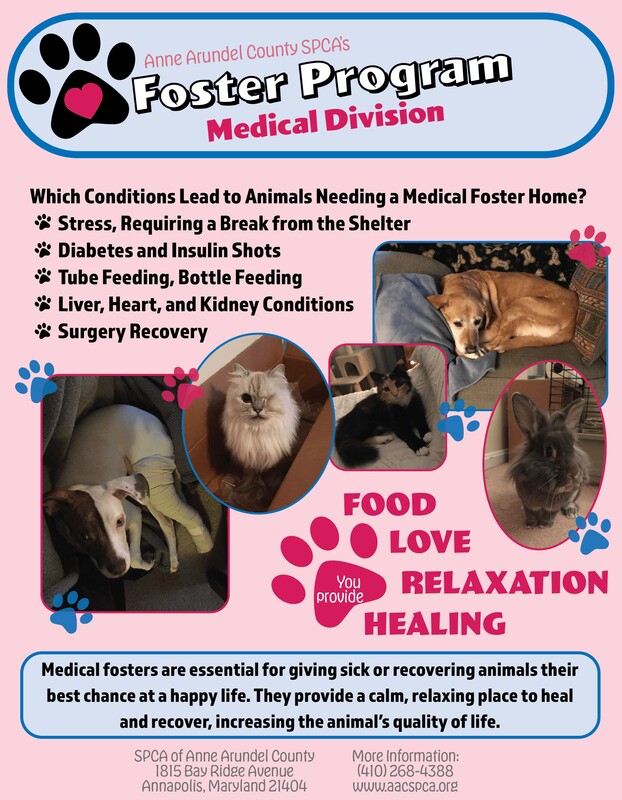 Click on the image to learn more about fostering! 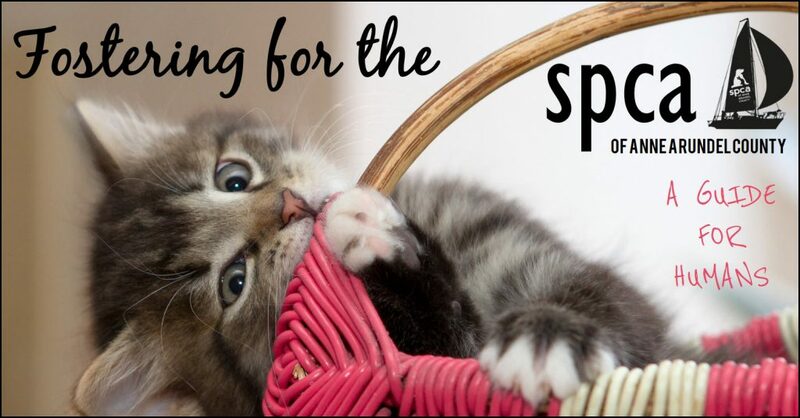 4 Visit our foster portal & see animals in need. Must be able to keep your animals separate from the foster animals. Have reviewed our interactive guide to fostering. NEW! Online application form (a PDF will be sent to you) and we automatically receive a copy. 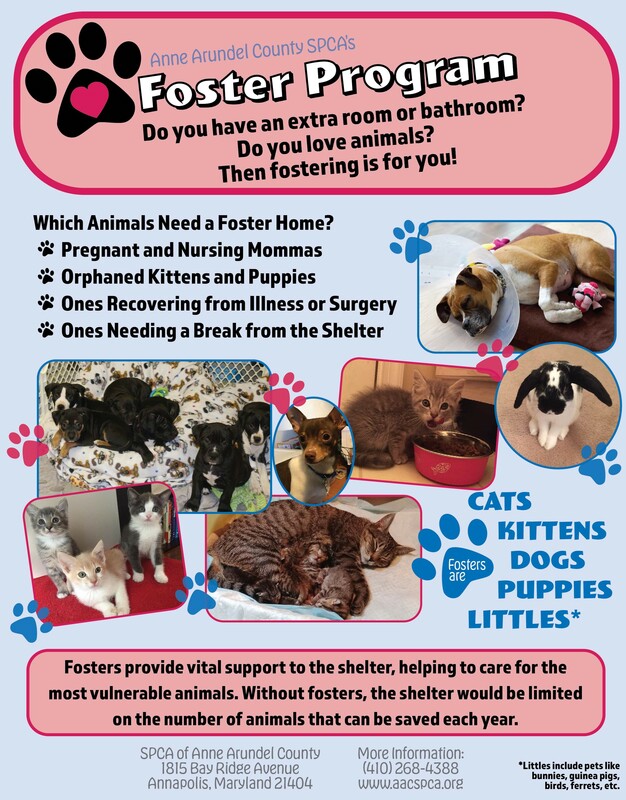 Traditional: Complete using either in PDF or Word, and send it to the Foster Coordinator via email to foster@aacspca.org, fax to 410-268-1139 (ATTN: Foster Department), regular mail 1815 Bay Ridge Ave, Annapolis, MD 21403 – or drop it by the shelter. In 2018, we launched a new way of showing our current foster animals. Visit our foster portal & see animals in need.